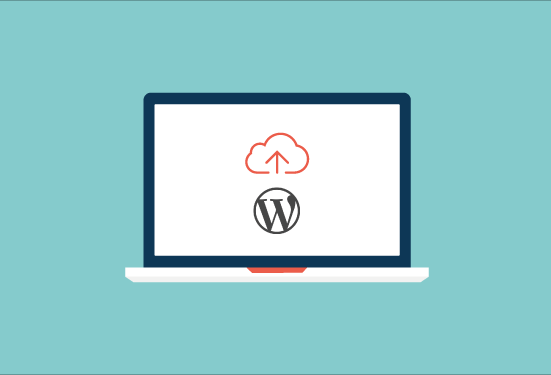 If you build a website using the WordPress content management platform, you'll have a lot of features at your fingertips. Many of them are great for SEO. But which ones are the most important, and how should they be configured in order to give your website its best shot at ranking highly on search engines? We'll start with the most basic of first steps. While setting up your WordPress site, you may have noticed a small checkbox asking whether or not you'd like to 'discourage search engines from indexing [your] site'. You might have checked the box in order to keep your website secret-ish while you were working on it, or you may have left it unchecked. If you know you checked this box, or if you're not sure, it's a good idea to review this setting straight away. Otherwise, none of your other efforts to optimise your site for search rankings will have much effect! Visit your WordPress Dashboard (by opening up your web browser and navigating to http://[yourdomain]/wp-admin/ to login) and look for 'Settings' in the main left-hand menu. Click on 'Settings' and then look for the sub-menu item titled 'Reading' to visit the Reading Settings area. Here, scroll down to the bottom to find your site's Search Engine Visibility checkbox and make sure it's unchecked. Remember to click 'Save Changes' if you have made any changes here. Canonical links are a special type of HTML link tag that can be added to any webpage (one per page) to point to the original version of the page. When websites grow larger and become more complicated, things like URL parameters can make it seem like there are multiple pages on your site with very similar content. This could set off Google's spam alerts, but you can let Google know that you have different versions of a page for legitimate reasons by including canonical links. Canonical links live in the <head> area of a webpage's underlying HTML code. This area contains lots of information about the page that isn't generally shown to users. It's more for the benefit of search engine spiders (and other web applications). If the page of your site that you're viewing has the URL 'http://mysite.com/products/', then that page's canonical link should most likely point to exactly that URL. Then, if the page offers visitors the ability to sort products by adding a parameter to the URL (something like 'http://mysite.com/products/?type=shoes'), Google will understand that this second version of the page should be ignored in favour of the original version. There are various plugins available that will add canonical links to each page of your site, but I recommend Yoast's SEO plugin—you can read more about installing and configuring it here. You can use this plugin to help with many of the following steps, too, as it performs many useful functions. The following video will quickly walk you through adding and activating this plugin, which is all you need to do to add canonical links to your site's pages. To check that the plugin is adding canonical links to your site, navigate to a few different pages on your website using a modern web browser like Chrome or Firefox, right-click anywhere and select 'Inspect Element'. 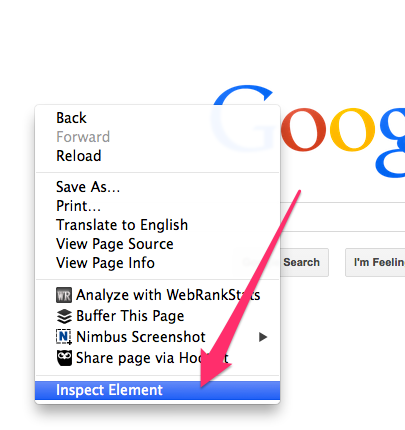 This will open up the browser's web inspector window. You'll see lots of HTML code, but fortunately the <head> of the page will be very near the top. You might need to click on the small triangle next to the <head> tag to open it up and look at the tags nested inside. Good URLs contain words that are easy for search engines, and people, to understand. WordPress makes it easy to give every page and post on your site a keyword-rich URL—but you have to update this setting manually. This isn't very clear or memorable, so you might want to update your site's URLs right away. First, visit any page of your site and have a look at your browser's address bar. If the URL there resembles the screenshot below, you'll need to update your permalink settings. Follow the instructions in this article to update your permalink settings now. Keeping your content organised, with clearly-labeled categories and tags, means that it's easier for users and search engine spiders to find their way around. 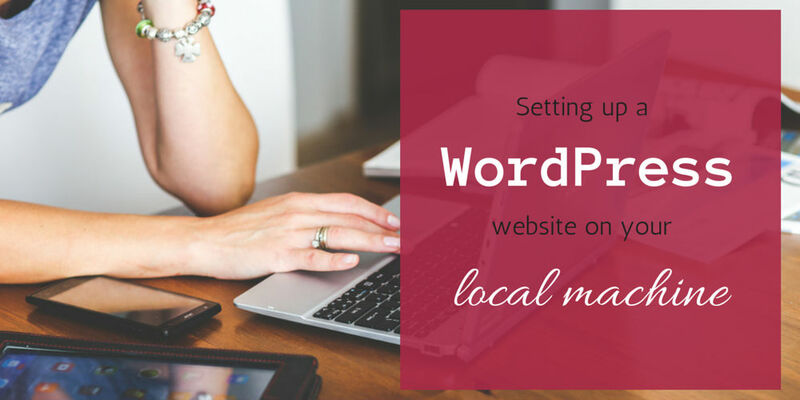 All of your website visitors will have a much clearer idea of what your site is about, too. WordPress makes it easy to group posts into categories or by tags. It's a very flexible system, so you can choose how best to organise your own content. Review the categories and tags you've been using on your site so far. Do they accurately describe the posts you've created? As it was originally designed as a blogging platform, it's no surprise that WordPress makes it easy to publish timely and fresh content. It may nowadays be used as a platform for entire websites (not just a blog section), but it's roots as a blogging system still show. Creating a new post is as easy as logging into your site's Dashboard, hovering over 'Posts' and clicking 'Add New'. Does your website have a blog? If so, you'll already know how easy it is to quickly publish new content (or write a draft to review and publish later). If you haven't started a blog yet, go and create your first post now. If you have already been blogging, consider asking a friend or colleague to help you with the next post for the site. Multiple authors can work on the same post, and revisions are stored so you can see who changed what and when. Even if your co-author only helps you with proofreading and headline ideas, it can make the writing process easier and more creative through teamwork. You don't need to know any HTML to add proper heading and subheading tags to your page and post content if you have a WordPress website. This is a great benefit for non-coders, as heading tags are looked at by search engines and should therefore be used properly. There are six heading tags in HTML: <h1>, <h2>, <h3>, <h4>, <h5> and <h6>. They are numbered in order of importance, with <h1> being the most important. Most WordPress themes will use <h1> tags to display your page or post's main title. Within your post or page's content, however, you're free to choose any heading tags to divide up the content with keyword-rich subheadings that help search engines (and readers) understand exactly what the content is about. A post about an upcoming summer festival event might contain subheadings like 'Event Dates' and 'Event Map' using <h2> tags, for example. Make sure that all of your website's pages and posts contain at least one subheading. When editing a page or post, you must make sure to first click the 'Toolbar Toggle' icon in the editing area's row of buttons. You can see, if you click on the 'Text' tab, that this subheading has been wrapped with <h2> tags, letting search engines know that it's a particularly important phrase that is likely describing the paragraph(s) of content below it. While we're looking at the page or post editing screen, we can check out one of WordPress' more recent additions: a distraction-free writing mode. This WordPress feature does not have a direct effect on SEO. However, as Google becomes better at evaluating the quality of the content published on a website—everything from the reading level to the authority of the author—it becomes more important to write the best possible content that you can. Fortunately, when it comes to writing on the web, WordPress makes it easier to focus. Try using the distraction-free writing mode now to add a new page or post to your site. Well, responsive images are never exactly easy. Serving the right size images to all the different possible devices people might be using to view your website is still quite tricky, although it should get easier as the HTML5 picture element and/or image srcset attribute are more widely adopted. In the meantime, however, WordPress at least automatically creates different sized version of every image that we upload for our pages and posts. This means that the theme we're using, if cleverly-crafted, can make sure to always use the smallest possible size of an image. For example, when viewing a list of posts on a website's News page, each post's featured image might only be shown as a small thumbnail. The site's theme code can make sure to only request the thumbnail version of the image for this page, rather than requesting the full-size image and simply shrinking it down to fit. Use Google's Page Speed Insights tool to make sure your website isn't using oversized images where they're not needed. Google cares a lot about on-site engagement metrics. That means: how many people visited your site... and liked it enough to look at a second page? Or liked it enough to spend several minutes reading your blog? Or liked it enough to leave a comment, or sign up for your newsletter? On the other hand, how many people visited your site and then left again almost immediately? Google is getting very good at understanding how engaged a website's visitors are. This (rather festive) video by Randy Fishkin of Moz.com covers this topic in more depth. But how does WordPress help with all this? By offering a robust commenting system (especially if you make use of the free Akistmet spam protection plugin that comes bundled with every WordPress install) out of the box. You'll also find easy-to-use plugins for more sophisticated commenting systems, like Disqus, if you want to switch. There are pros and cons for the native system vs other commenting systems, which I'll save for another article. Make sure you have comments enabled for every post on your site. Encourage friends, family and your wider network to comment on your blog. Set up goal tracking in your Google Analytics account, too, so that you can track comments made and see what kind of traffic is the most engaged. The links pointing to each page of your website matter a lot for SEO. All of the big search engines look at a site's 'backlink profile' to see who is linking to that site, in order to get an idea of what that site is about and whether it's of good quality. 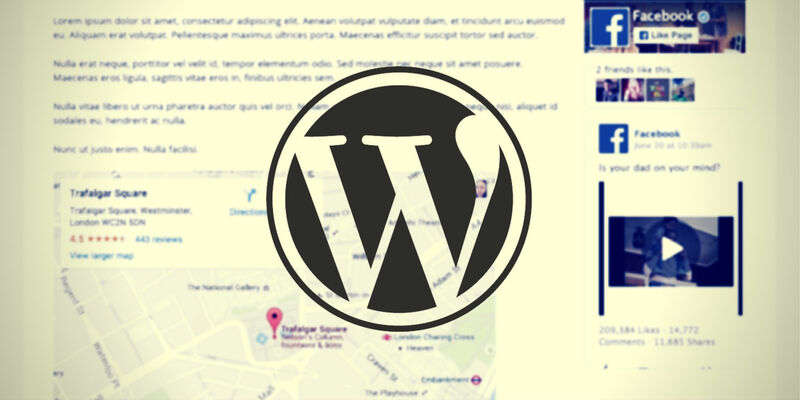 WordPress includes a feature that allows you to accept notifications on your pages and posts whenever someone links to them. These notifications are called pingbacks. Keeping track of the links that are pointing to your site will help you make sure those links are coming from relevant, good-quality sources. It will also give you more information about who is finding your site's content interesting and where some of your traffic may be coming from. Check your site for any existing pingbacks and trackbacks by logging into your Dashboard and clicking on 'Comments' in the main left-hand menu. Visit the sites that have been linking to yours, and get in touch with the site owners if you don't know them already. Expanding your online network always pays off in the long term. This is another SEO-friendly tactic that has a slightly indirect effect on rankings. An RSS feed is a list of your blogposts coded in a very basic way, for importing into RSS reader apps. If you follow lots of blogs, keeping them bundled together in an RSS feed reader app can make it much more convenient to scan for new posts regularly. More readers means more traffic, and regular readers are much more likely to engage with your blog (perhaps by leaving a comment or signing up for email updates). These engagement signals matter a lot to Google. WordPress websites include RSS feeds by default and you don't need to do anything to ensure your new posts are sent out to subscribers. It's automatic. 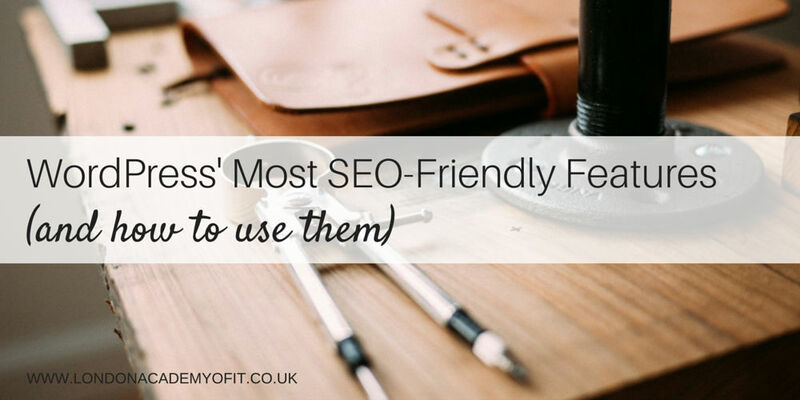 If you'd like to have more control over your site's RSS feed, you can install an SEO plugin and use it to customise the way your site's feed works. View your site's RSS feed by visiting [yourdomain]/feed/. Send out an email to your network of friends and acquaintances asking them to add your blog to their RSS feed reader of choice, if they haven't already, so that they are notified whenever you publish a new post. Start by installing an SEO plugin, if you haven't already—we've written a handy getting-start guide here. Then head to the WordPress Plugin Repository to search for your next addition. Remember to carefully check each plugin's ratings and last-updated date before installing it on your site. No WordPress article would be complete without mentioning the importance of a good security plugin. If your site is hacked, Google's spiders might notice the malicious code that's been added and quickly de-index your site in order to protect web users. This means your site will never be found by searchers! Be sure to protect your website with a strong security plugin like this one or this one, so that you don't have to worry about all your hard optimisation work being undone. It takes time to build up a site's PageRank and authority score, so keep your site safe at all costs.